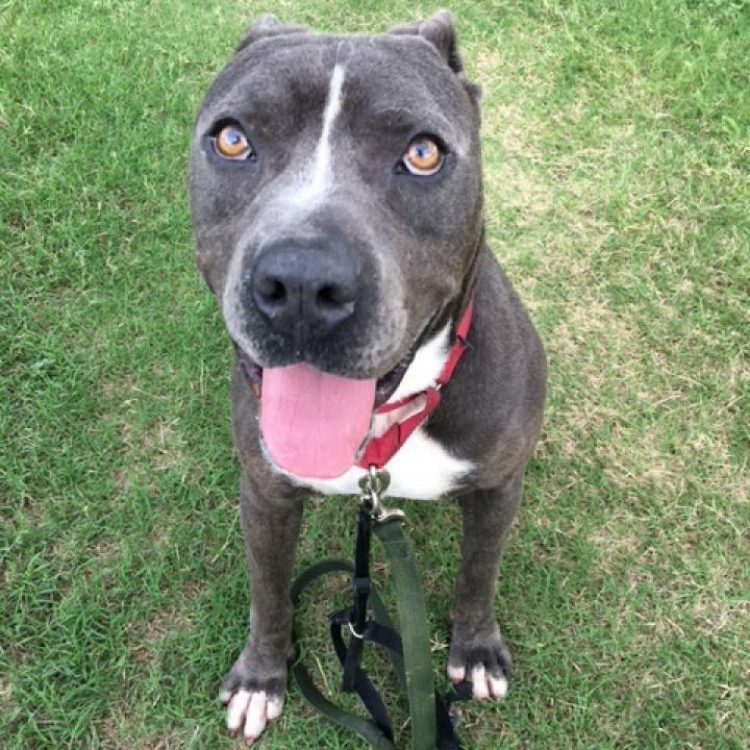 Blue is a loving and attentive pup who adores being with people. Once Blue looks into your eyes with those mesmerizing golden eyes you will be smitten! He's just gorgeous! He's got a unique and engaging personality and is happy to go anywhere and do anything! This sweet boy is instantly friendly and very affectionate when first meeting new humans. He's super happy when he can hang out with his friends, laying his head in their laps calmly and letting them love on him. But don't let that sweet country dog personality fool you. Blue is super-smart and loves having his mind engaged. In fact, his trainer says Blue's the fastest learner she has ever worked with. He walks beautifully on his leash and has great recall. You can put a long leash on him, ask him to "sit" and walk really far away and he won't budge. Once you tell him "Blue come!" he jumps straight up and then come running like a big blue rabbit! It's no surprise that Blue is thriving in APA! 's Total Obedience Program (TOP), which is modeled after the AKC's Canine Good Citizen (CGC) test. As a TOP dog, Blue has a personalized training plan and works with a volunteer trainer several times a week to help him learn the skills to become the best dog he can be! Blue is learning skills like sit and down, walking nicely on leash, sitting calmly when approached by strangers or other dogs, staying in a sit or down until told "free," coming when called and "Place, which means he will go to a specific place in your home on command. Blue loves being outside and would make a great outdoor companion to go adventuring with. 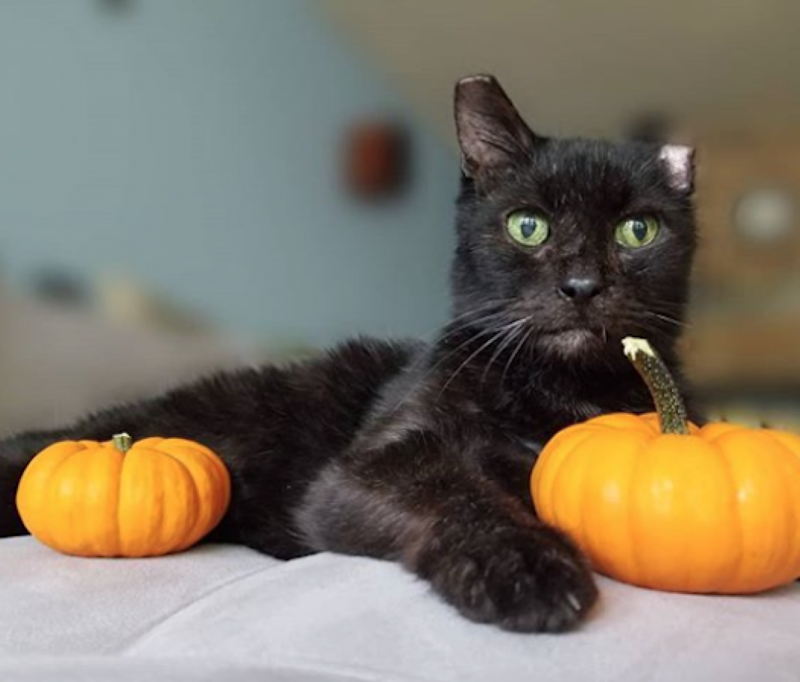 He'd love an active home where he can be included in the family's activities and get lots of exercise and may even do well with a well-matched doggie sibling. Come meet this amazing pup! 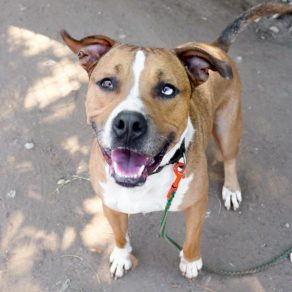 I saw Blue (https://www.austinpetsalive.org/adopt/dogs/apa-a-62869) on the Austin Pets Alive! website and would like to request more information.